I read a book called ‘The Year of Magical Thinking’ a few months back. It is a memoir of the author Joan Didion and how she coped with grief when she lost her husband. The first lines of the book were : “Life changes fast. Life changes in the instant. You sit down to dinner and life as you know it ends.” Didion goes on to describe the initial feeling of denial that she experienced. Didion says later in the book : “Grief, when it comes, is nothing we expect it to be…Grief has no distance. Grief comes in waves, paroxyms, sudden apprehensions that weaken the knees and blind the eyes and obliterate the dailiness of life. Virtually everyone who has ever experienced grief mentions this phenomenon of “waves”. I cried when I read Didion’s memoir. Little did I know then that I would be thinking about it and crying a few months later. Amma was my angel and inspiration with respect to books. She showed us the treasures between the covers of books. She also single-handedly revived the old-time tradition of telling stories around a fire or around a dinner table. She inspired us to read books by telling stories to me and my sister when we were young – some of the Shakespeare plays (‘Hamlet’ and ‘Twelfth Night’ were my favourites), books by Dickens (‘A Tale of Two Cities’ was Amma’s favourite and it was my favourite too at that time), swashbuckling adventure stories by Alexandre Dumas and R.L.Stevenson, ‘Jane Eyre‘, books by Mark Twain, tragic stories from Greek mythology, historical novels in Tamil by Kalki (we used to pester Amma to tell us the story of ‘Parthiban Kanavu’ again and again during dinner), and stories by women authors like Lakshmi, Anuradha Ramanan, Sivasankari, Vaasanthi and Ramani Chandran. Amma told her tales when we were having lunch and dinner, and she was such a wonderful storyteller that she inspired me to read my first classic when I was seven (it was Mark Twain’s ‘The Adventures of Tom Sawyer’). I have loved books since then. Amma’s favourite stories when she was younger were classics in English and romantic, historical and social novels in Tamil. We used to read comics together too, and have discussions on James Bond stories and her favourite comic heroes – ‘Irumbukkai Mayavi’ (Louis Grandel) and Lawrence and David. Of late her interest in standard romantic Tamil novels had gone down and she had started reading more literary fiction. She also loved translated works of classics written by Premchand, Sarat Chandra Chatterjee, Bankin Chandra Chatterjee and V.S.Khandekar. In addition to books, Amma was a big movie fan. She took us to see many movies when we were young. 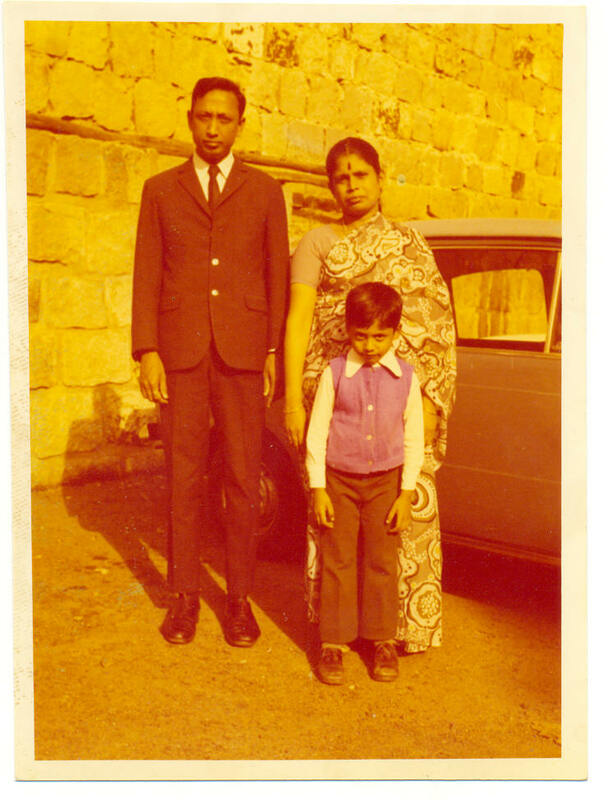 We used to go and watch movies at the theatre even during examination time – some people might say that she was an irresponsible mother for doing that, but for us she was a cool mom. She inspired in us an everlasting love for movies. In addition to popular movies, Amma loved offbeat and artistic movies, which was quite interesting because none of her friends liked those movies. We enjoyed watching some of these movies together and discussing them. 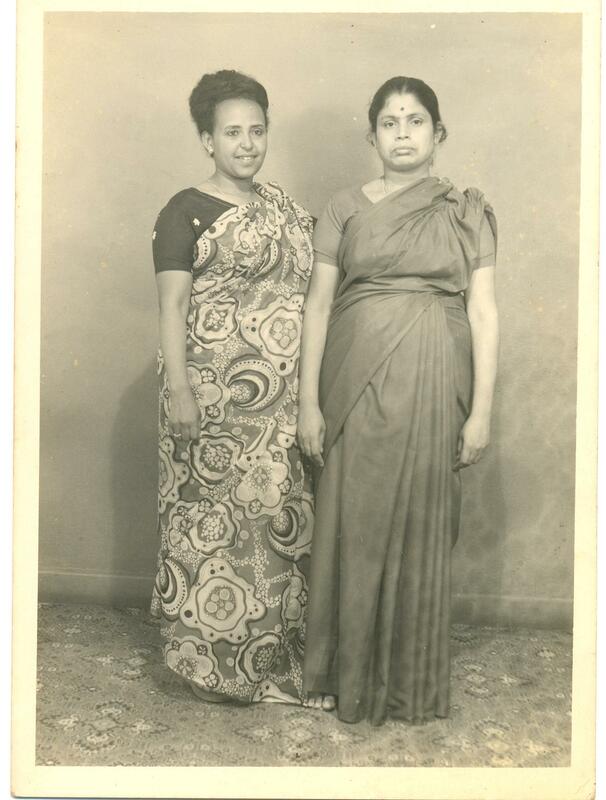 In addition to her literary and cinema interests, Amma took care of her family quite well and also socialized with friends and made new friends quite easily. She also loved going to temples and singing songs and doing pooja. Amma was a role model in many ways. She spent a lifetime showering love and affection on others. Anyone who was touched by her – her family members, brothers and sister and their families, friends, neighbours – loved her. She was innocent like a baby and could see only the positive qualities of others – sometimes I got annoyed with her for trusting people too easily. When I think back I remember that I was like her till I went to work – it looked like she had passed on a little bit of her most desirable quality to me. Amma also never got angry – I have seen her mildly annoyed only four times in her whole life – a couple of times with me, once with my dad and once with her sister. I have done so many things to make her annoyed and angry and my dad did something everyday to annoy her, but I don’t remember her getting annoyed anytime. I wish I were like that – I wish I never got angry. Amma was also young at heart – she loved reading comics till the end and guests who visited us used to be puzzled with it. But another part of my heart tells me that Amma’s time in the world was a celebration of life. Amma’s life is an inspiring example – of being kind to people, of never getting angry, of being innocent, of being young at heart, of treating family and friends with love and affection and of never giving up one’s passions in literature and movies. So, though I want to continue crying, I am going to think about how Amma inspired me in celebrating life, and what I can do, to do justice to that inspiration. Farewell Amma, my Angel of Books and my inspiration! Hope you are observing us from your heavenly abode, smiling gently at us as we stumble through our imperfect lives, and hope you bless us always with that pure heart of yours. 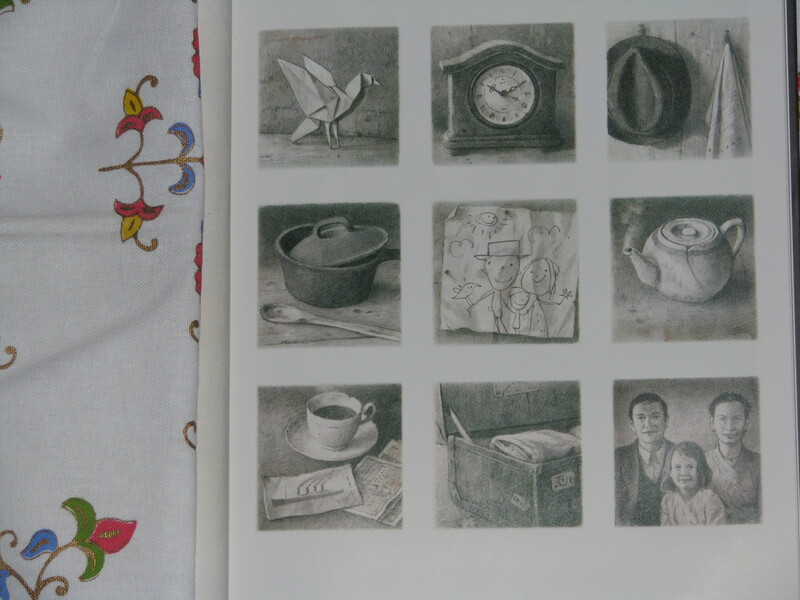 One of my dear friends gifted ‘The Arrival’ by Shaun Tan, as a Christmas present. I was waiting for the right time to read it. When the read-a-thon came around, I thought it was a good time to read ‘The Arrival’. I finished reading it at that time, but writing the review has taken me some more time. Here it is. I am giving below the summary of the story from the publisher’s site. In a heartbreaking parting, a man gives his wife and daughter a last kiss and boards a steamship. He’s embarking on the most difficult journey — he’s leaving home to build a better future for his family. In this wordless graphic novel, Shaun Tan captures the immigrant experience through clear, mesmerizing images. The reader enters a strange new world, participating in the main character’s isolation – and ultimately his joy. Here is one of the summaries of the book that I liked. ‘The Arrival’ is the story of an immigrant who leaves his country to build a new future for himself and his family in a new country. It depicts the wonder of a new country and the difficulties and challenges the immigrant faces in becoming a part of it – from learning simple things like how to buy a ticket for using public transport, what are the names of the new vegetables there and how they taste to more complex things like how to navigate the new language, how to find a house for rent, how to find a job, how to get one’s family from one’s home country to one’s adopted country, how to integrate with people from different cultures who are around, how to handle new pets and how to make friends and live a good life. 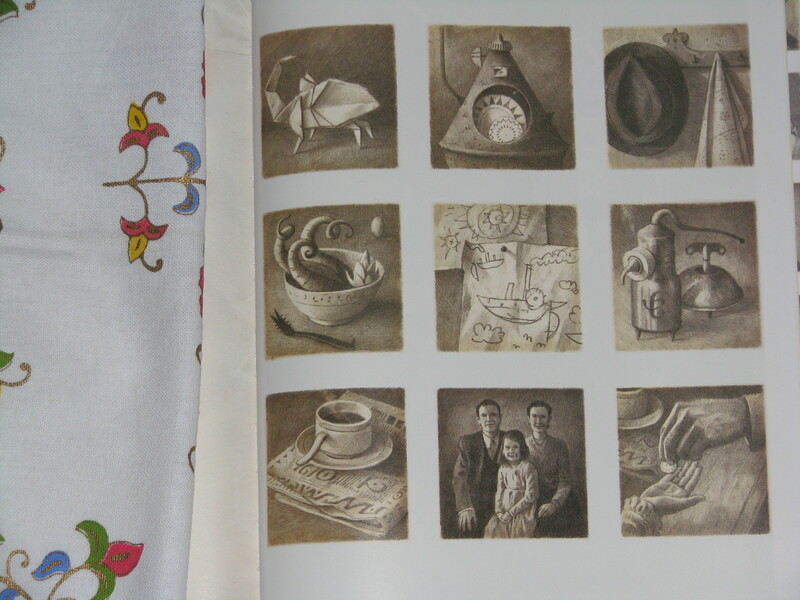 The book doesn’t have any words and text – the whole story is told through pictures. It reminds me of some books I have seen where the story is told through woodcut paintings. In some places Shaun Tan depicts the action beautifully by zooming into a scene or zooming out of a scene – it reminded me of Brian Selznick’s ‘The Invention of Hugo Cabret’ where Selznick uses this technique beautifully. The artwork in the book is extremely beautiful – one of the best that I have seen in a graphic novel. It looks like a lot of care has gone into making each panel and each page. The city from which the main character comes has the shadow of a dragon’s tail hovering in the air – it seemed to indicate a Chinese city. The artwork which depicts the new city is very surrealistic. 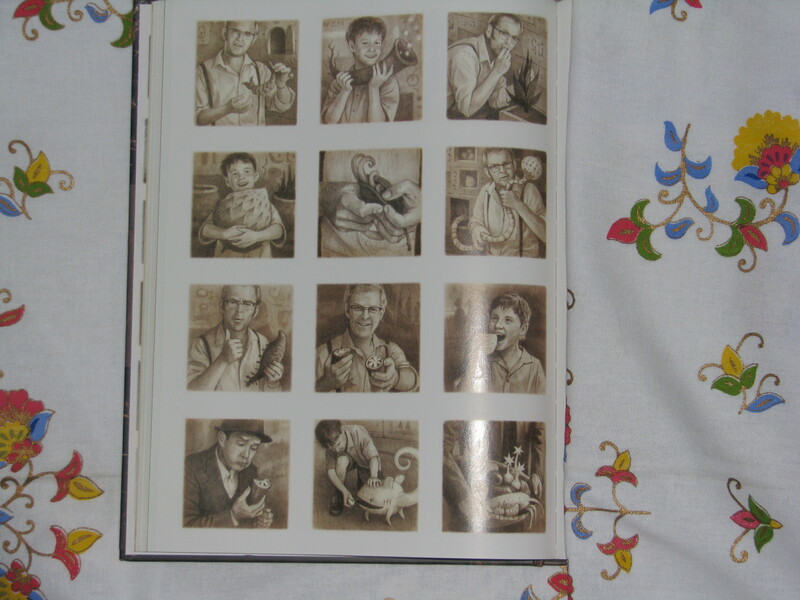 Here are some pictures from the book which I liked. Hope you enjoy looking at them and hope they inspire you to ‘read’ the book. Shaun Tan’s ‘The Arrival’ is a classic. Some would say that it takes us back to pre-comic days when there were picture books, without text, which told stories. But I would like to believe that Shaun Tan has taken the graphic-novel medium to a different level – by telling a story with just pictures, without names, without dialogues, without descriptions – and by doing it with really high-quality artwork. ‘The Arrival’ is one of the best graphic novels that I have ever read. It will be one of my treasured possessions (many of my friends are already jealous of me :)) and I will have to thank my dear friend for that. If you like graphic novels, you should definitely try reading ‘The Arrival’. Highly recommended. Hour 2 : Have been busy today and so have been able to start my read-a-thon only at the start of hour two. It is really difficult to decide which book to start first. I want to start a book, which I can quickly finish. I am tempted to start ‘The Arrival’ but I want to save it for later – I want to read it slowly and savour the pictures. So, I am starting one of the Agatha Christie books – ‘Murder in Mesopotamia’. Hour 8 : Have got sidetracked by other things – some errands and domestic crisis situation at home and some not-to-be-missed sport on TV – and so have not been able to read as much as I wanted during the first 3rd of the read-a-thon. 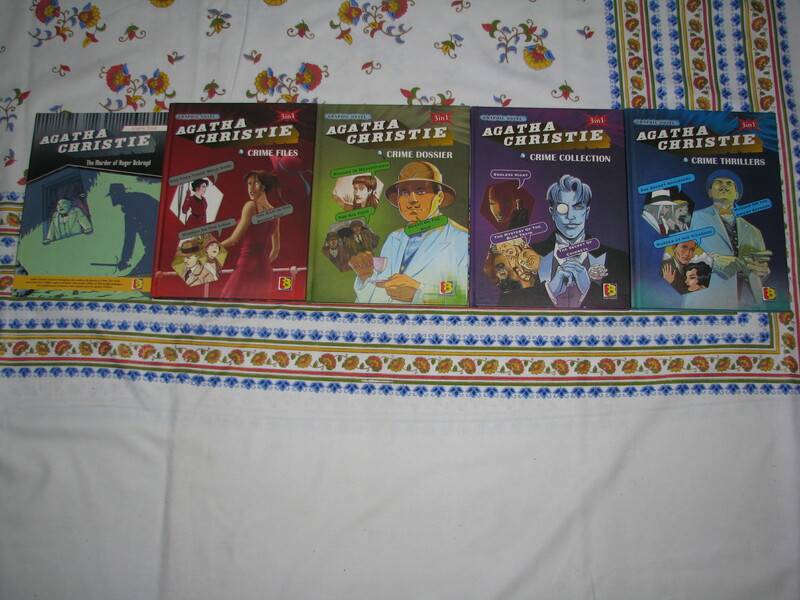 But managed to finish one Agatha Christie graphic novel – ‘Murder in Mesopotamia’. It was the first Christie that I ever read and I liked it very much when I read it, but unfortunately, the graphic novel version doesn’t stack up to the original. Scenes shift a bit too abruptly and I didn’t like the way Poirot was depicted. But ‘Death on the Nile’ which I am hoping to read later, seems to have better artwork. It will be interesting to see how it turns out. It is late night in my place now, and so I will take a nap for a few hours and come back re-energized and try to do some serious reading during the home stretch. Hour 20 : Back to reading during the homestretch of the read-a-thon. Have not been having a good read-a-thon till now, but hoping to remedy that a little bit during the homestretch. Starting ‘The Arrival’ now. I initially thought that it is a book which can be read quickly, because it is a graphic novel without dialogues, but when I looked at the first few pages, I felt like I was looking at pictures in an art book. 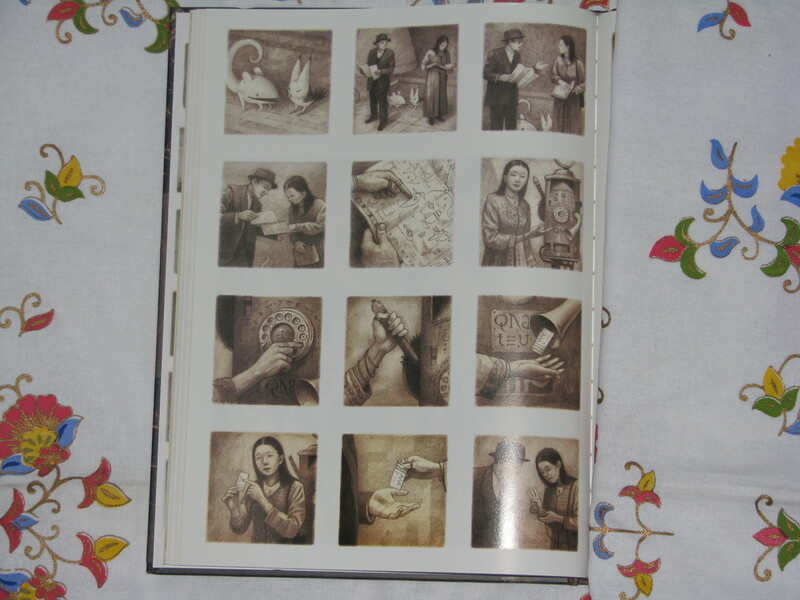 The pictures need the reader’s attention, time, curiosity and affection. Maybe I will read it quickly now and slowly again a bit later to savour the pleasure better. Thanks to all the cheerleaders and my blogging friends for dropping by and cheering me! Thanks to all the cheerleaders and my friends and blogging friends for dropping by and cheering me! This weekend is Read-a-thon time 🙂 The twice-a-year Dewey’s 24-hour Read-a-thon is back in April. I participated in the Read-a-thon in October and had an awesome time! It was also wonderful to get in touch with book readers across the world and be cheered by them and also cheer them to the finish. So, I thought I will participate in the read-a-thon this year too. One of my friends (and if I may add, philosopher and guide), who is a personal coach, says that we should explore extremes in life to discover what fits our concept of balance in life. Last year, I selected a few regular books to read during the read-a-thon, but could finish reading only one of them and half of another. So this year, taking my friend’s advice, I have decided to explore the other extreme, and will try to do my own ‘graphic novel reading fest’ during the read-a-thon. I think it will be consistent with the spirit of my graphic-novel-reading-spree recently 🙂 It will also give me enough time to find out what others are doing during the read-a-thon and cheer other readers in this reading adventure. 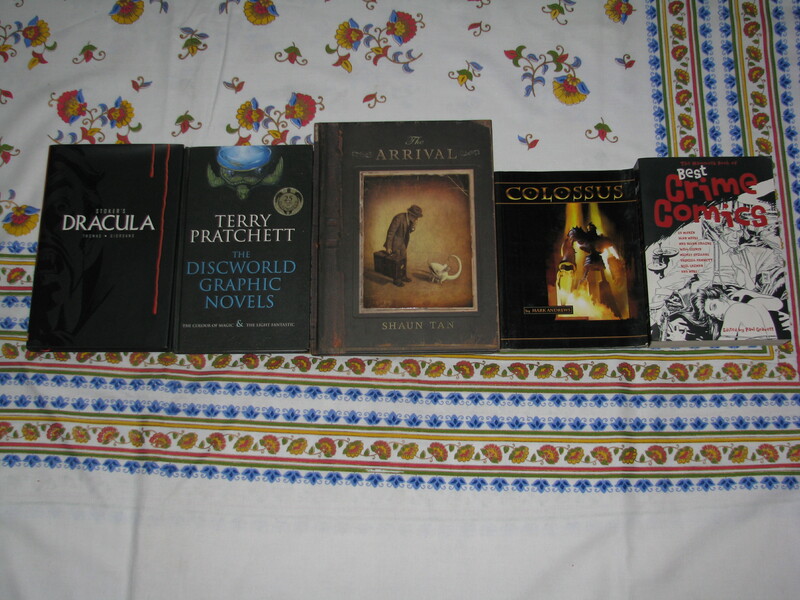 So, here is the list of books, from which I will be reading some, during the read-a-thon. 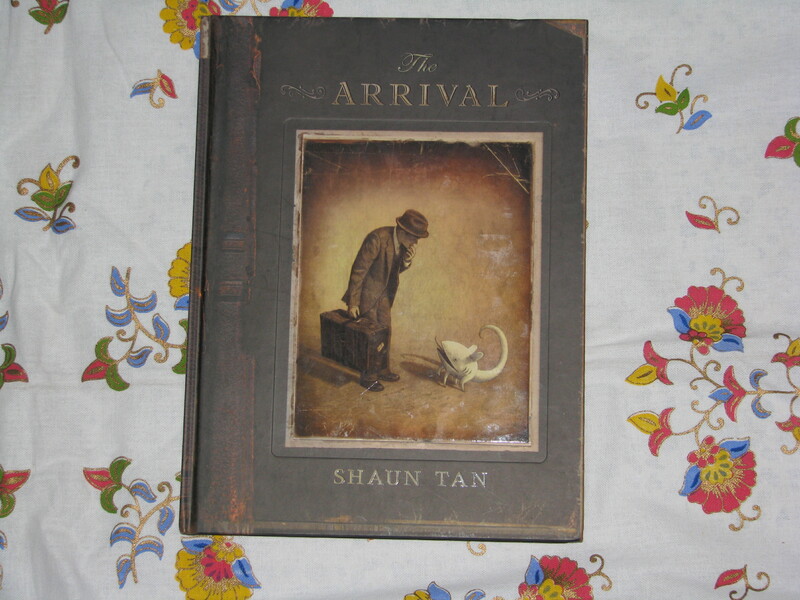 The Arrival by Shaun Tan – One of my dear friends sent this to me as a Christmas present. Have been waiting for the right time to read it. This book is an innovation even for the graphic novel form. Will write more about it after I read it. The Mammoth Book of Best Crime Comics (edited by Paul Gravett) – has stories by Ed McBain, Alan Moore, Will Eisner, Mickey Spillane, Dashiell Hammett, Neil Gaiman – enough to whet my appetite! And Then There Were None – my second most favourite Christie novel. Have read the play version and seen the movie version. Have seen a Tamil movie inspired by this book too. Murder in Mesopotamia – the first Christie / Hercule Poirot novel that I ever read. Death On The Nile – haven’t read the book. But saw the movie version after my trip to Egypt. The movie is wonderful just for showing many of Egypt’s wonderful treasures – the story is a bonus. Murder On The Orient Express – haven’t read the book. But have seen the movie version which has a star cast. I found these interesting lines from a book I am reading now called ‘Art Objects : Essays on Ecstasy and Effrontery‘ by Jeanette Winterson. Millions! The viewer does not see the colours on the canvas, he sees the colour of the money. Is the painting famous? Yes! Think of all the people who have carefully spared one minute of their lives to stand in front of it. Is the painting Authority? Does the guide-book tell us that it is part of The Canon? If Yes, then half of the viewers will admire it on principle, while the other half will dismiss it on principle. Who painted it? What do we know about his / her sexual practices and have we seen anything about them on the television? If not, the museum will likely have a video full of schoolboy facts and tabloid gossip. Where is the tea-room / toilet / gift shop? Where is the painting in any of this? We are an odd people : We make it as difficult as possible for our artists to work honestly while they are alive; either we refuse them money or we ruin them with money; either we flatter them with unhelpful praise or would them with unhelpful blame, and when they are too old, or too dead, or too beyond dispute to hinder any more, we canonise them, so that what was wild is tamed, what was objecting, becomes Authority. Canonising pictures is one way of killing them. When the sense of familiarity becomes too great, history, popularity, association, all crowd in between the viewer and the picture and block it out. Not only pictures suffer like this, all the arts suffer like this.